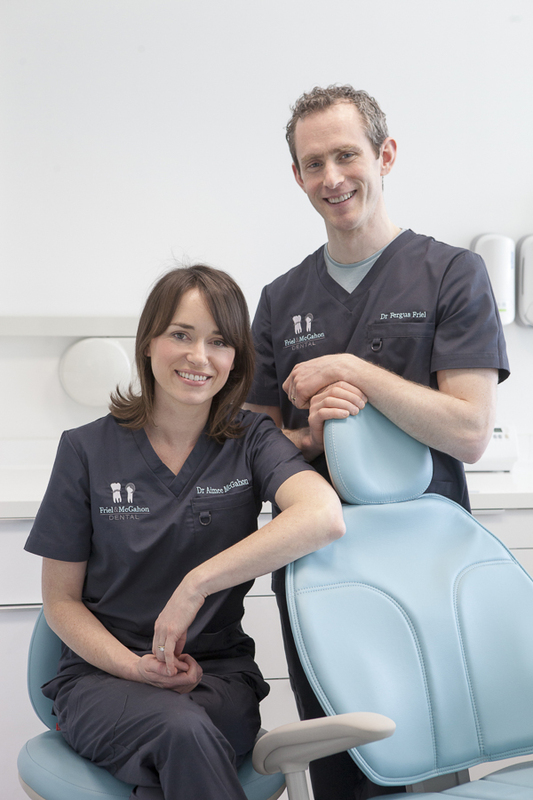 At Friel and McGahon Dental we welcome nervous patients. In 2017 we won a national award at the Irish Dentistry Awards for Best Treatment of Nervous patients. We do our utmost to make you feel comfortable and alleviate any anxiety you may have. Our main approach if you are nervous is to take baby steps, it is important for you to know that you are always in control and we will work at your pace.We recommend for nervous patients to only book an examination for their first appointment so that we can find a treatment plan specific to their needs. Following this we usually start with the least invasive and minor procedures, to build up ones tolerance levels and we progress from there. Where possible we will avoid needles, however if an injection is necessary we use a topical anaesthetic to reduce the pain. We also use smaller child sized drills to reduce how far you may have to open, thus making the procedure more comfortable. We have a very relaxed relationship with our patients and find that conversation throughout treatment helps to distract from the procedure itself. Dentistry is not what it was in the past and we are very happy to help people discover this.